Dèesse Magazine: Getting Waisted has a whole new meaning. Getting Waisted has a whole new meaning. I recently featured Mama Mio on here, and now I've discovered yet another gem from the amazing brand. 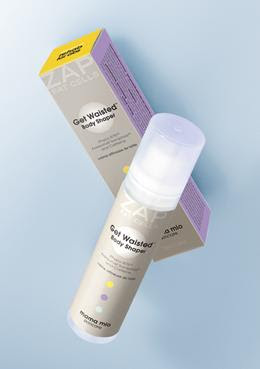 The Get Waisted Body Shaper ($56) which promises to reduce fat cells, tighten and firm tummy flab. This slimming lotion is a step above the rest, with nine well proven ingredients (That have been well proven in lab tests to dramatically increase the destruction of fat.) designed to help combat fat deposits, tighten your stomach, reduce puffiness, and maximize lipolysis (Lipolysis is the way your body breaks down the fat stored in fat cells; giving you slim fat cells and a slimmer silhouette). The key to success with the Get Waisted Body Shaper is to apply this lotion is to rub it in large clockwise circles on your stomach ( this also helps with sluggish digestion - which also makes the stomach bloated) and lower back for about 30 seconds - at least once a day. Like Lucky Legs Cooling Serum, there is a cooling feeling with this lotion as well, which is great to use after workouts - well in my opinion at least. Experts from Mama Mio Skincare will be teaching guests how to boost body confidence and feel great, while sampling the Get Waisted Shaper. Complimentary mocktails will also be served as well.